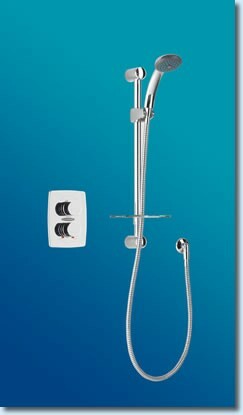 The NT 904-T shower is no longer available, a great new replacement is the Cobalt Thermostatic Shower Valve. The all new Cobalt Thermostatic Shower Valve A perfect replacement for your old NT 904-T thermostatic shower. The Cobalt recessed thermostatic valve is the ultimate in modern minimal design. IMPORTANT: The New Team Brand name is owned by Bristan, as part of their ongoing streamlining of operations all brands are being amalgamated under the Bristan banner. Your new product will be boxed and badged as Bristan not Newteam or Showerforce.